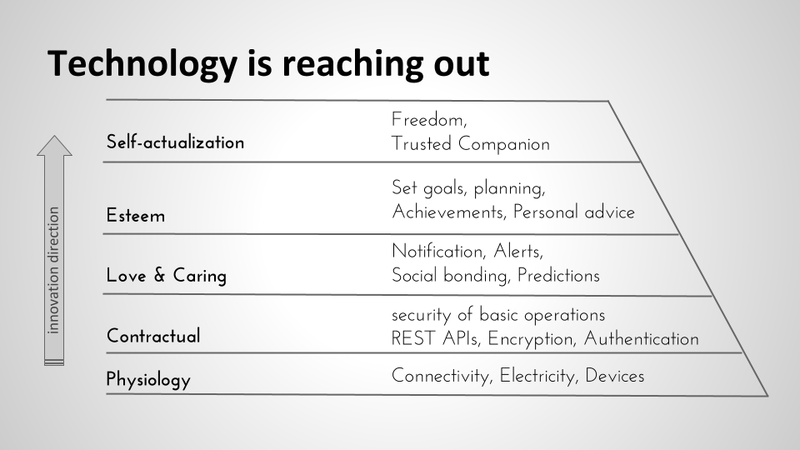 In the previous post , I have referred to the hierarchy of needs and Abraham Maslow, and how that can be used to map technology requirements, human-machine interaction, and needs. The concept of the pyramid of need applies very well to technology. For any given technology we can identify at which point of the pyramid it interact and which sort of needs it answers. Here below is how I have translated the original layers to match how applications interacts with users. When an application offers a service, the human machine interaction is defined by a given service level agreement. Most of the times this agreement is implicit. 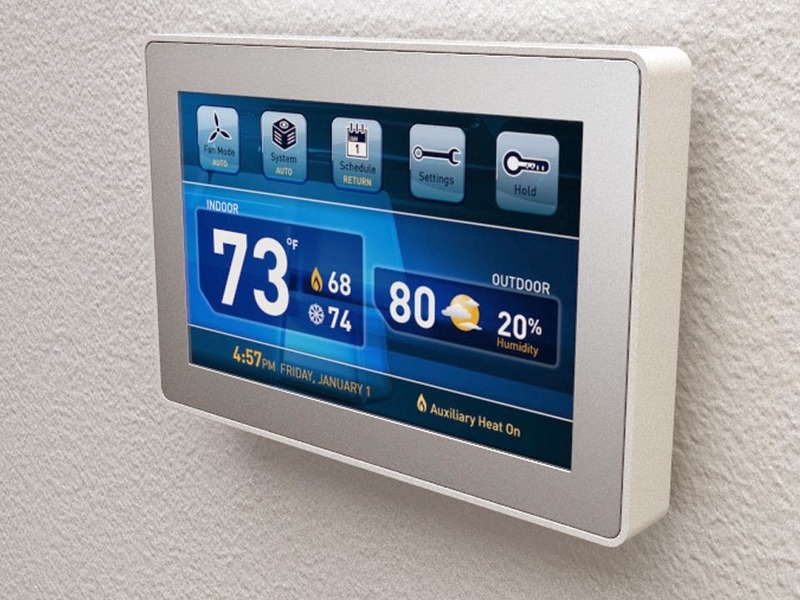 Let's take, for instance, the example of a home thermostat. Physiology: It works, that's all. It can be set to provide heat, however there is very little control. The "contract" between machine and human is almost non- existent. It's passive and does not react to environment or context changes. Contractual: It guarantees that the temperature stays constant at a given level. 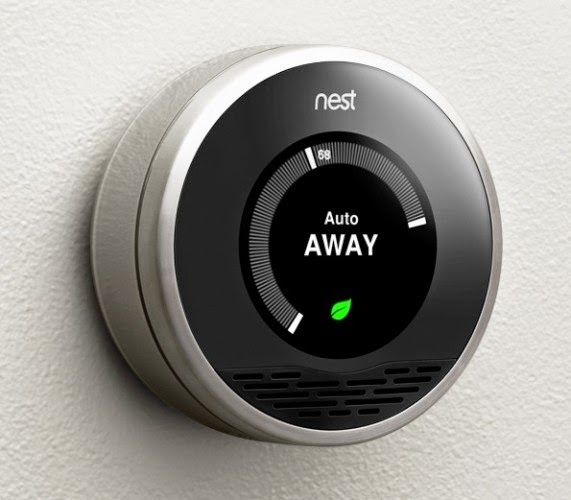 It does not react to environment changes, or proactively notify you if something happens with your heating system. Love and Caring: It allows you to set up a pattern throughout the day , or setup different patterns for workdays and weekends. 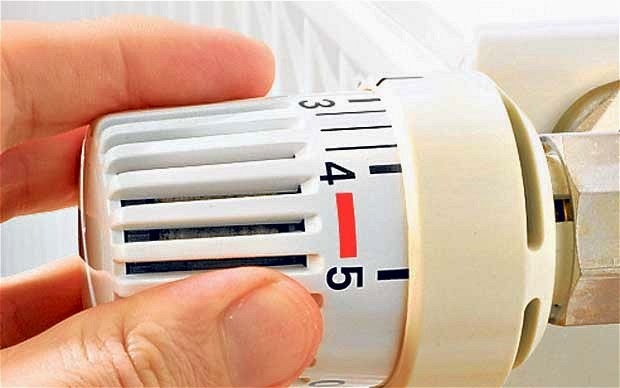 It notifies you if the system is not functioning well or if special condition are met, e.g. when it is snowing outside. 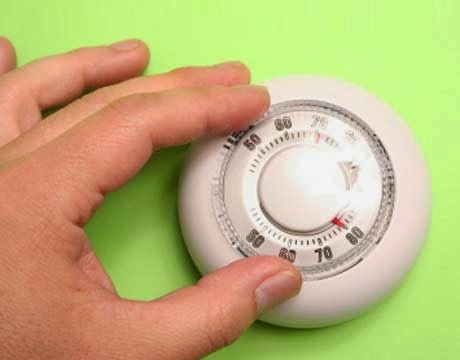 Esteem: This thermostat is now a proactive agent, which check your presence in the room, learns patterns autonomously from your daily action and is capable of detecting if you have left your house for a vacation. Self-Actualization: On top of what has been described above, it actively checks your utilities bills, autonomously find new providers with cheaper deals, and adapt the room temperature to your mood. It's your trusted home heating partner, which frees your time and energy, so that you can fulfill your higher goals and dreams.